I was very sorry to hear about the tragic attack in the eastern Congo yesterday (December 7th) which left 14 UN soldiers dead. The assault on the UN base outside of Beni (in North Kivu) was apparently carried out by ADF rebels, and was a sad reminder of the violence that plagues the Democratic Republic of the Congo (DRC). Since 1999, more than 300 UN workers have been killed in the DRC. Estimates of the civilian death toll due to conflicts in the country over the same time period vary widely, but even the lowest estimates put the number of conflict-related civilian casualties in the millions. It’s a stunning number, made all the more shocking by the fact that so few people here in the United States are even aware of the challenges faced by the DRC. 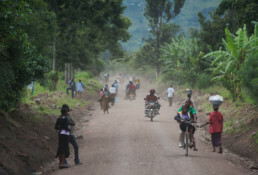 The DRC is a huge country, roughly the size of Western Europe, and is tremendously blessed with natural resources. With its rich soil, unlimited water, diamonds, cobalt, copper, uranium, coltan and oil (just to name a few) it could be one of the richest countries in the world. Instead, for several generations it has been the site of seemingly-perpetual violence, perpetrated in the name of greed and corruption. 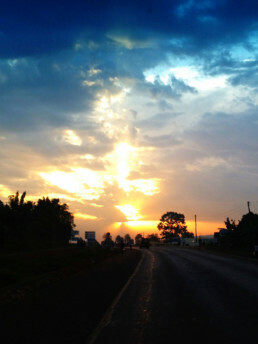 In this context, I am even more impressed with the people I am lucky enough to work with in the DRC. For several years now, I’ve worked with coffee growing cooperatives in both North and South Kivu. (The Kawa Maber group is within fifty miles of the site of yesterday’s attack. Despite the almost-total absence of infrastructure these groups deal with, the ambient violence they endure – along with the absence of the rule of law – my Congolese friends remain professional, hopeful, and hardworking. Despite all the challenges they face, they are excellent business partners who produce some of the world’s finest coffees. Their optimism is infectious, and their warmth and humor is an inspiration. So when I hear about tragedies like the one that occurred yesterday near Beni, I think of my friends in the Congo; I want to share the story of their success. I believe they are the future of the DRC, and that by investing in them we can help move the Democratic Republic of the Congo toward a better future; the future its people deserve.